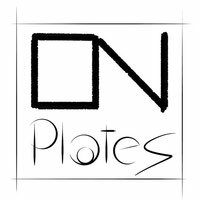 Artist Statement - onplatess Webseite! I am a potter and believe in the beauty of handmade objects. Making pots is a deliberate attempt at slowing down, connecting to something deeper, and taking time to appreciate the pleasure of labor. In addition, the constraints of working with one material and with a certainty of purpose allows me to explore notions of beauty and cultivate a sense of order. I prefer the uncomplicated and straightforward character of plates, bowls, cups, and serving dishes. My forms focus on creating a space for their intended use as well as acting as a canvas for patterns. I use pattern as a means of exploring the nature of abstraction, representation, and beauty. What is most compelling about the use of pattern is that its meaning can be elastic and fluid, it requires only one small graphic element used in repetition to become something greater that the sum of its parts. Many of the motifs I use are adapted or interpreted from textiles, paintings, and natural geometry. My formal vocabulary is culled from historic and contemporary ceramic art, design, and my own few novel additions. It is within these chosen limitations that I search for a sense of beauty, self-expression, and common experience. You can find me on facebook, via E-Mail or call the number down below.